Undoubtedly the Nigerian music industry is west Africa’s biggest depot of young/old talented, creative, successful and wealthy musical artist that have taking the art of singing music beyond the shores of West Africa and Africa as whole. That being said, some of this successful artist still have their career blazing high above the skies while some have gotten their career blown away by foxy waves of dementia. On this write-up, we bring you the Top 10 Nigerian Musical Artists we think have gotten their careers dead either by their too much show body or lack of releasing hit songs or lack of following the latest music trends. No doubt this Nigerian rapper can arguably still be classified as an A-list art not withstanding his inability of releasing new songs after his old hit songs faded away. After releasing one of Nigerian biggest hits of 2016 titled “Molowo Noni” which he collaborated with Tekno, ice Prince has gone missing in the music industry… We haven’t heard any new song from him, maybe because no new bubbling artist is willing to allow him feature them is his song in other to revive his dead career or maybe because his village people have finally tabled his matter, and decided unanimously to imprison his career. His current status in the Nigerian Musical industry surprises us a lot… We’re yet to decode the source of his current decline in progress. However, we suspect his decline in progress started after he started eating that forbiddable fruit from Ghana that have almost left him bankrupt. 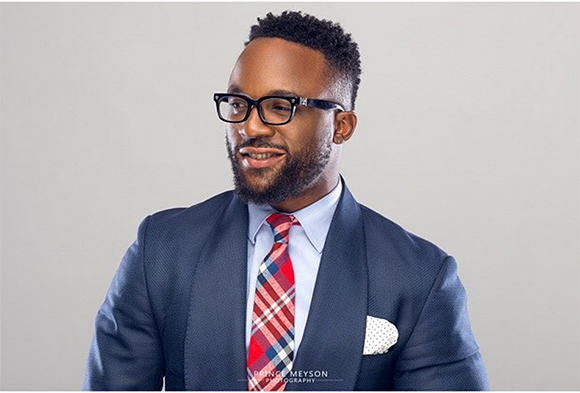 Talking about bankruptcy, we believe Iyanya currently is really really out of cash which is why he signed up in Don Jazzy’s musical label (Mavin’s record) Though his career is already dead, we still believe Iyanya will be able to resurrect it if he puts in more efforts… We can still see that lightening energy in him. We’re forced to believe she’s quit music to take care of her baby since she’s now a mom… We just hope when she’s back in the studious she wouldn’t find her career lying totally dead and buried with condolence flowers on the grave. One would never forget to put Skales in the list of musicians who are trying too hard but no results… Talking about people who don’t know their real talent skales comes to mind. Though God blessed him with one mistake hit song which didn’t last for up to 6 months, we can still boldly conclude that skales career is dead for now…. All the songs he released of recent made no significant success, he’s trying too hard, we feel he’s currently depressed from too much work. If you’re a music blogger you’ll notice Skales have released more singles than Wizkid and Davido combined but only one is well known which is “Shake Body” since the “Shake Body” success all the tracks he releases can be compared to BlackBerry new devices…. No one buys them anymore…. This only means one thing, it means our guys career has kicked the bucket. Read ALSO: The Nigeria Music Industry Is Going To Break This Year.. See Why. One wouldn’t be far from the truth Calling Dprince a musician who got fame due to his brother’s influence in the music industry. Over the years, we’ve waited and waited for Dprince to prove to us he isn’t just popular because of his brother’s influence, but because of his hard work and perseverance in the very competitive music industry…. We’ve waited for him to prove to us he deserves the A-list standard and treatment he enjoys in the Mavin dynasty but he always fails. The only notable thing we think he’s done in the music industry is releasing a one hit wonder ‘Miss-Hit’ hit song titled “Oga Titus” which we think he paid songwriters to deliver for him so as not to totally get his career buried and sent to the deepest part of musical hell by the foxy breeze of dementia…. We’re forced to believe his career is dead and will take a very strong miracle to resurrect. Being the second lady on our list an one of the female musicians in Nigeria with really good vocals, one would ponder why Omawumi’s songs doesn’t get much buzz in Africa or in Nigeria. As sad as it may sound, We’re forced to conclude that this ladies career is dead and buried in the Nigerian musical industry since its very evident she’s would not be anywhere to be found in Nigeria’s Top 50 hottest Acts as of now assuming someone decides to come up with a list. Really sad 9ice had to make this list. I was Personally one of his biggest fans during his rainy days…. I could remember perfectly all the lines in one of his hit song titled ”Gongo Aso “, That song was like the biggest thing as of then, it was more popular amongs the South Westerners. However, we can perfectly trace his mishap or decline in progress in his musical career after his failed marriage. He went missing for a while before coming back to the industry, he made some couple of failed Collaboration before releasing his current singles. Though its clearly evident that Mr 9ice career is dead, we’re not certainly sure if it’s buried or nay. He’s really really working hard this days to get back to his formal position. We’ve seen couple of his new singles in My TV Africa which we believe is progress….. We advice he keeps trying hard in other not to get his career totally buried by the gods of music. As one of the hottest act we had back in the days. His career was high above the clouds, anything he said made waves around the country, Still can remember one popular line in his song “Mercy Johnson nearly touch my rod” that made waves across the country…. Fans were contemplating among themselves if the musician really had a secret romance with the A-list NollyWood actress. Well as they say, Time changes everything…Time in this case changed my guys Career from Bubbling to stumbling…. We can comfortably say this musician has lost his place in the Nigerian music industry… His new songs no longer makes sense…. Nigerian have gone beyond that… We’re now selective of the type of noise we celebrate which I think is progress. Blackface however, surprised us back then with one hit song titled “Erimma” which was his first and last hit song since he became a single artist. Blackface claims one of his best song which would’ve become one of the biggest ever green song in Africa was stolen by his then musical partner 2face. We’re really forced to debunk this fact since blackface haven’t provided us with enough evidence to backup his claims. I mean, if he really insist his song was stolen, why not drag the culprit to court and lay your evidence? Blackface have released couple of songs which we believe only like 100 people out of Nigeria’s 170million population listened to. He’s being trying really hard to make waves in the industry not knowing the unfortunate has happened… His career is long dead, the music industry have left him behind, Nigerians no longer Gbadu his sounds and beats, even his mode of dressing in like that of the 80’s. Recently he tried the blackhat strategy… Blackhat strategy here simply means trying to play victim so that people might pity you and perhaps support you or stand on your side. He tried using the incidence of thievery that happened between him and 2face idibia to get the sympathy of Nigerians and probably cunningly revived his long assassinated career. The strategy didn’t work! Nigerians are way smarter, we know a really hard working musician if we see one…. Its best Blackface start up something new since its way way obvious his career is long dead, killed, assassinated and buried by the gods of music!